Lake Norman's Independent Mercedes and Maybach specialists. 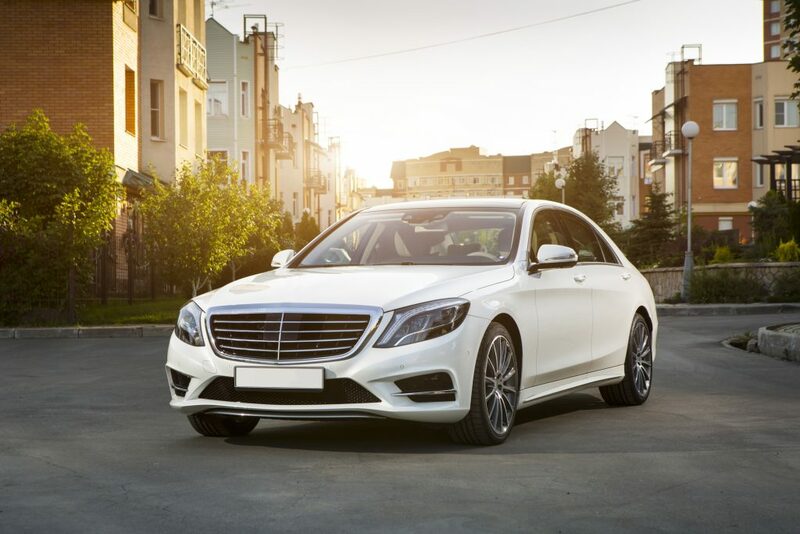 At Autohaus Lake Norman, our Mercedes and Maybach service is unparalleled. 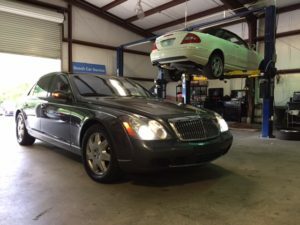 We perform virtually any repair or service you may ever need on Mercedes-Benz branded vehicles and unique to the Lake Norman area, we offer the same great service to our Maybach customers. Maybach 57 getting the "Keyless Go" feature fixed and also an issue with the serpentine belt. Getting your Mercedes-Benz vehicle serviced at Autohaus Lake Norman will not void your factory warranty. The parts and chemicals we use meet or exceed factory requirements, if not already a genuine Mercedes part. Not only do we use top quality parts, but we also use factory diagnostics, factory service information and adhere to factory service specifications. The only thing missing is the high dealer price! 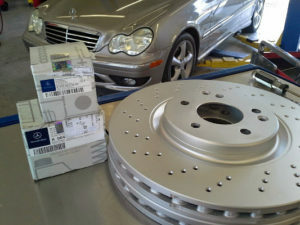 Genuine Mercedes-Benz brake pads and high quality "sport" package rotors. 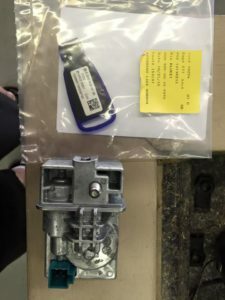 Steering Column Lock (SCL) for a Mercedes-Benz C300. This item (and corresponding workshop key) are TRP items. TRP items are reserved for franchised dealers and a select few independents. 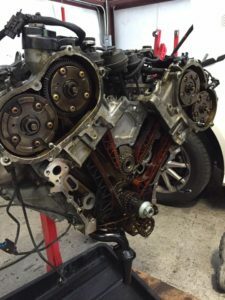 Not only do we do service work, brakes, tires, alignments and all the stuff you would expect a Mercedes specialist to do, but we also do engine mechanical, like the infamous M272 Balance Shaft. We typically save customers thousands (yes thousands!) 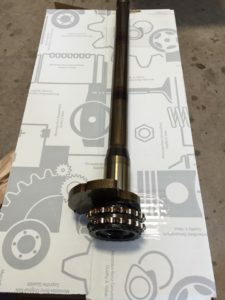 of dollars on replacement Balance Shafts, using genuine Mercedes-Benz parts. Worn out M272 balance shaft causing Check Engine Light. Mercedes M272 front cover removed for balance shaft replacement.